Look like they're in love ! And a beautiful custom tail with Dies R US Dies !!! What a wonderful card. Love how you used your dies to personalise your cuts. 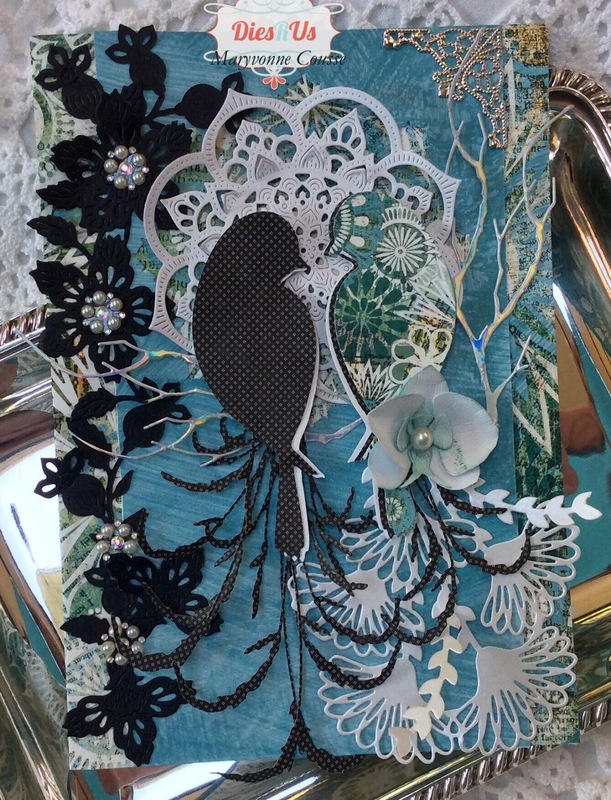 Gorgeous card, Maryvonne! Wow, fabulous details and die cuts. The background you created looks amazing with the negative and positive die cut elements. Love the colors on this......absolutely amazing to look at. Gorgeous card! great use of those frames! divine! you rocked this! Need a Card for a Ceremony? All Things Grow With Love! Saying Hello and Goodbye . . .